So you think your employees are all offline... Think again. With the constant rise of smartphone and tablet device use, does the concept of an ‘offline’ workforce still exist in 2014? Over the years working at Reward Gateway, I’ve often found myself looking at a client’s demographic and classifying workforces as ‘offline’ - employees who in their day-to-day job are not typically using a computer. This instantly raises a red flag as, when promoting a computer-based product like our employee benefits hub, this can be assumed to be a bit of a barrier. For these 'offline' clients we have always gone above and beyond. We've taken care to establish alternative communication methods; going to site and speaking with employees and strongly promoting our telephone Helpdesk to ensure that these groups can still make use of all the employee benefits we offer. We often apply the assumption that ‘offline’ workers will engage with employee benefits in in a different way to others, but recently I’ve been wondering whether this is still the case. We have a huge number of clients from various ‘offline’ sectors, including transport, manufacturing, agriculture and even schools and healthcare professionals. Some of them have been using our employee engagement platformme for years while others are relatively new, but the one thing that they have in common is that we always find a way to reach their staff. Can all of them only be using their employee benefits service over the phone? The old assumption is that if an employee is not using a computer at work they do not have access to a computer at all. This is no longer the case. More than half of us now own a smartphone or tablet device, even more own their own PC - and that’s not just the young workforces but the older generations too. As many of us will know, with all of this technology sometimes it can be hard to not be online – whether connected with our work or not. We need to remember this when we think about communicating with our staff. Social media as an employee communication tool is good choice, although not always the right answer, but there are many other ways we can use this mobile revolution to reach out to our colleagues and employees. British transport giant FirstGroup understand this better than anyone. 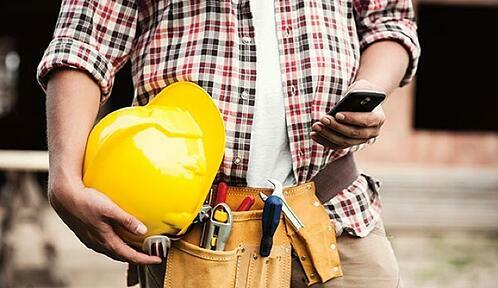 With a heavily male demographic of blue collar workers split over 300 different locations you could easily write them off as an employee engagement nightmare, but their recognition of their employees’ interaction with new smartphone technology saw them triumph. They mixed up their benefits communication tools highlighting the mobile based service, and even put QR codes on all promotion materials to give employees easy access straight away. Just a year into their new employee benefits program they had more than 11,000 employees signed up - plus they scooped up a prize for their efforts at the 2013 Benefits Excellence Awards. Smartphones have changed the way employees want to access services - they want them fast and they want them all the time, from anywhere. Here at Reward Gateway we really understand the need to take employee benefits mobile, which we’ll be honouring with a relaunch of our core product later this year. We already have an excellent mobile app service, but we want to take down any barriers that stop employees engaging with your benefits. We need it to be totally frictionless. So whatever your employee’s day job, the question remains as to whether they can be seen as ‘offline’, and if they are whether that provides a good reason as to why they can’t interact with your employee benefits program. With all of these advancements in smartphones and increased use of computers outside of work... I think not.